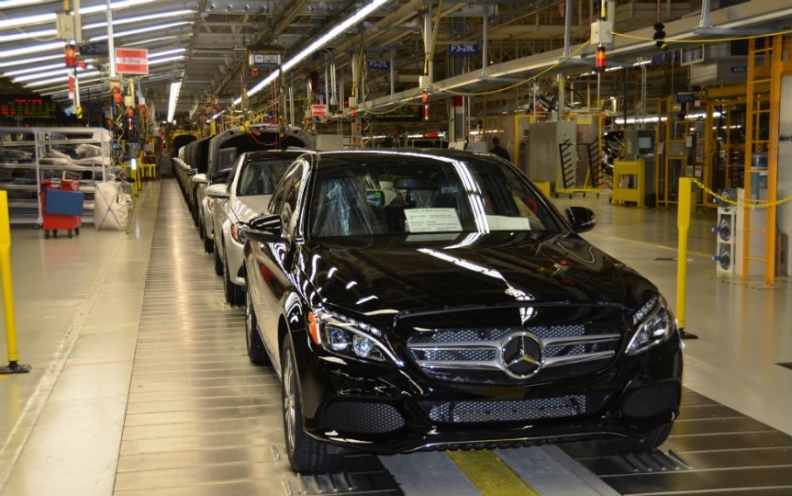 Daimler's Alabama plant, shown, has about 2,500 full-time and 1,000 temporary workers. DETROIT (Reuters) -- The United Auto Workers union said on Monday that it will press managers of Daimler's Mercedes-Benz U.S. car plant to respect the right of workers to discuss organizing a local union while on the factory floor. The factory in Vance, Alabama, is Daimler's only plant worldwide that does not offer employee representation. Last week, the National Labor Relations Board ruled that Mercedes-Benz U.S. International must rescind a rule in its employee handbook that prohibs workers from talking about a union in work areas while not on work time. "It's unfortunate that Mercedes-Benz had to be ordered to simply allow workers to discuss their right to organize," said Kirk Garner, a longtime Mercedes-Benz worker. He is also a member of UAW Local 112, established in October, and served as a witness in the NLRB case. Mercedes said the company has been and remains neutral on the issue of unionization "with the decision left to our team members." It also said an older version of the employee handbook "regarding rules for solicitation has been addressed in the 2014 handbook recently distributed to team members." The UAW said it wants Mercedes to follow the policy it has for plants outside the U.S. which "acknowledges the human right to form trade unions" and "respects the right of collective bargaining." Last summer, an administrative law judge issued a ruling that was for the most part affirmed by the NLRB last Wednesday. There are about 2,500 full-time and 1,000 temporary workers at the plant. The UAW has been trying to organize workers at several foreign-owned plants in the U.S. South, including Volkswagen's plant in Chattanooga, Tennessee, and the Nissan plants in Canton, Mississippi, and in Smyrna, Tennessee.